The College specializes in Education and is one of the few post-secondary institutions in Ontario to offer recognized Teacher of English as a Second Language training for both provincial and national TESL teacher Certification. We provide accredited TESL training, accredited ESL programs, recognized certification for Adult Educators, and a variety of Additional Qualifications for Professional Development online and in class. 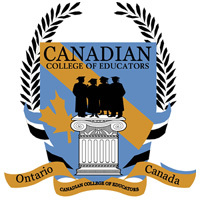 The Canadian College of Educators is also a proud institutional member and supporter of the TESL Canada Federation, the Teachers of English as a Second Language Association of Ontario (TESL Ontario), Languages Canada,Career Colleges Ontario, and the National Association of Career Colleges. Our main objective is to make education meaningful for adult learners of English as a Second Language and other subjects in adult education by improving the quality of instruction through the delivery of top-notch teacher-training programs for the individuals who will instruct them. The College’s mandate is to educate and train future educators to a degree of excellence by providing guidance, knowledge, resources, mentors, experience, up-to-date methodologies, and an institution that specializes and prides itself in turning great students into even greater teachers. The faculty of the College is comprised of published Canadian University and College Professors, educational field experts, professional curriculum developers, and highly accredited teacher-trainers with this mandate as the outcome for all graduates.